Most of my work involves history: personal and public, private and shared, accurate and fictional. A reexamination of my own history; my human experience and the milestones contained therein, often gives me the basis for a method which eventually becomes a work, just as art history can allow me to draw parallels to myself, my work, and give inspiration to my practice. Recently, I have been making connections I had long forgotten, retracing steps I never thought I would take again. It is a bittersweet feeling, one of nostalgia and innovation, to produce from past sentiment. 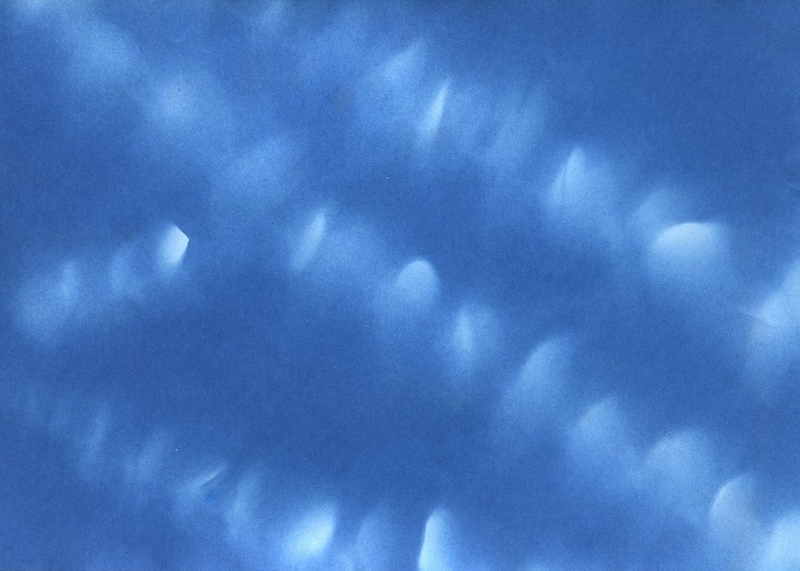 Nostalgia and innovation are the exact words I would use to describe Anna Atkins' cyanotypes. Today marks Atkins' 216th birthday, and to honor her, Google has created a cyanotype logo for the day. Atkins was a botanist, maker of photographs, and friend to Henry Fox Talbot, and she was perhaps the first person to truly illustrate a book with just photographs. She was before her time, surely, but more than that, she was a woman making marks in a completely new way in the primarily male-dominated worlds of science and technology, art and invention, and printing and publishing. It is not surprising to me that Atkins has stuck with me over the years. 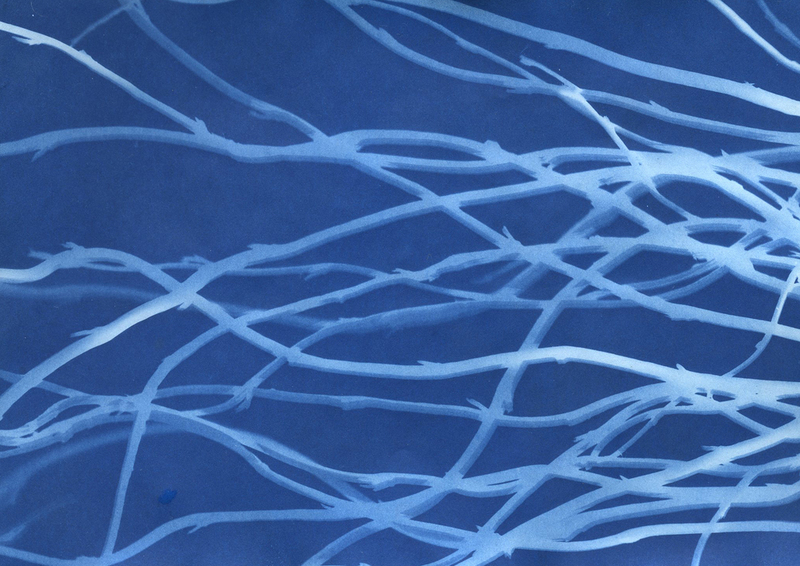 I have taught cyanotypes to teenagers, used cyanotypes in my own work, and studied paper-processes throughout history. They evoke a certain ... je ne sais quoi, different for everybody who views them. 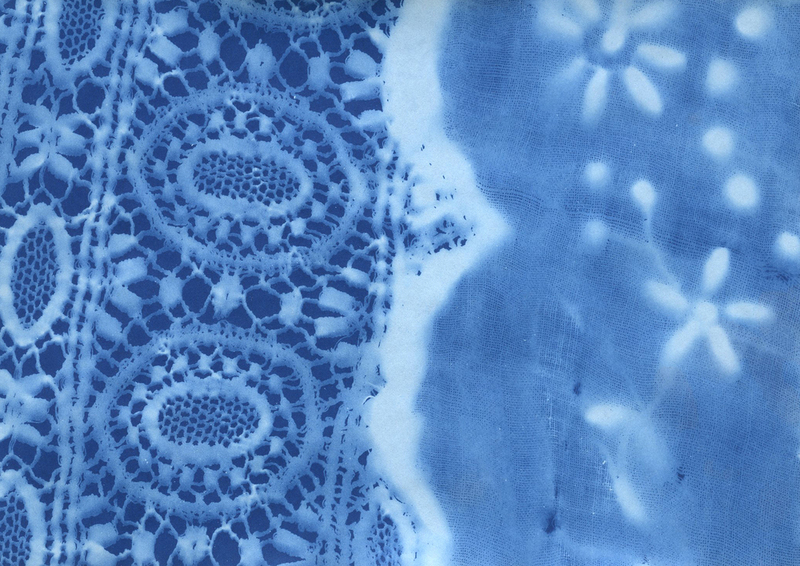 These cyanotypes were made last Spring, in a different city, at a different place in my life. Markmaking across time and space of family textiles, flowers given to me by loved ones, traces of a former iteration of myself created by chemical reaction and the sun. 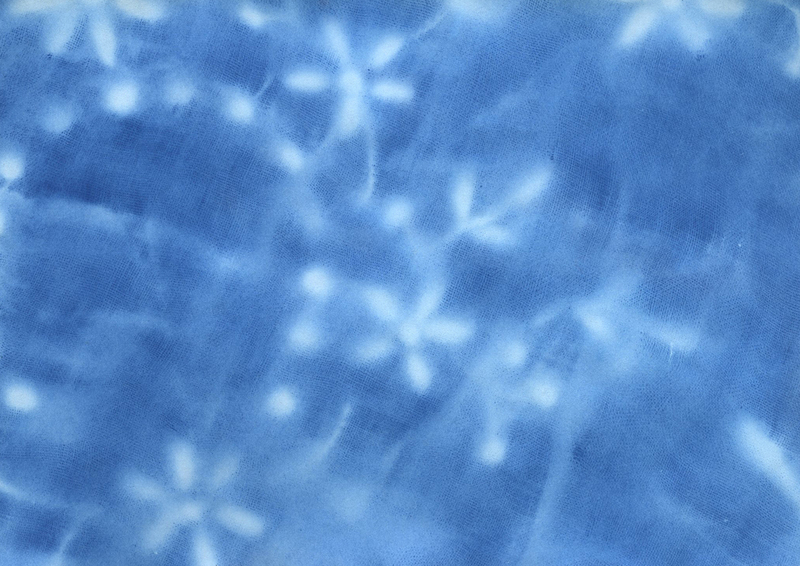 What do cyanotypes do to you? What is evoked when viewing paper processes versus new technology? Leave me some thoughts below, if you're so inclined.